I enjoyed your wife, Maria, and your company at the luncheon yesterday. Here is the recipe I promised you. 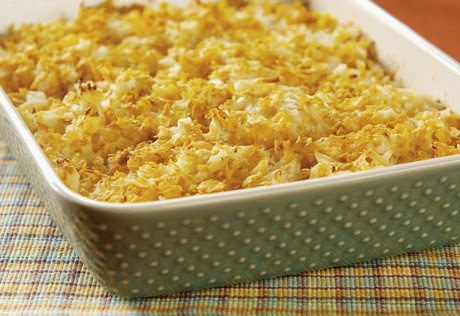 If you google hash brown potato casserole, you will be able to see what the finished product looks like. They are a bit different in content but the looks are similar. (great for buffets ! freezes well. Serves 8-10 people. 2 lbs. (1 kg) frozen hash brown potatoes. thaw potatoes slightly. Save about half cup or less of grated cheese to sprinkle on top. Mix the rest of the ingredients together and put in a greased casserole dish. Sprinkle the half cup or less cheese over the top. Bake at 350F for 1 to 1 and a half hours. I really love the casserole. Maria is my boss, not my wife - although a wife in many ways is the boss at home. Glad you visited my knowledge site. Life can be more comfortable with knowledge. I hope what I am sharing will help you.